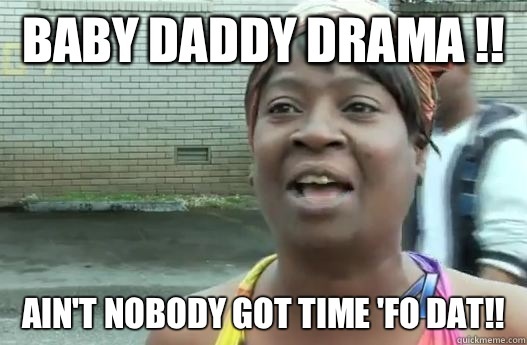 Baby Daddy Drama !! 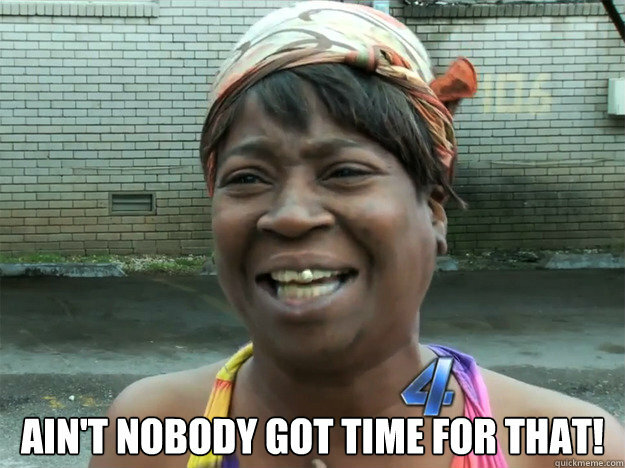 Ain't nobody got time 'fo dat!! 70 cents for a soda? 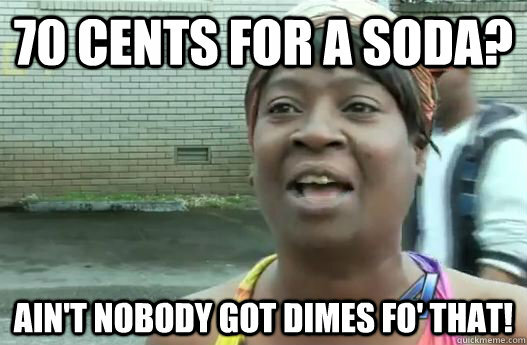 Ain't nobody got dimes fo' that! Breakfast? 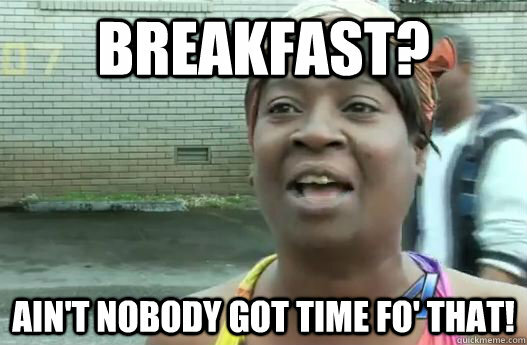 Ain't nobody got time fo' that! 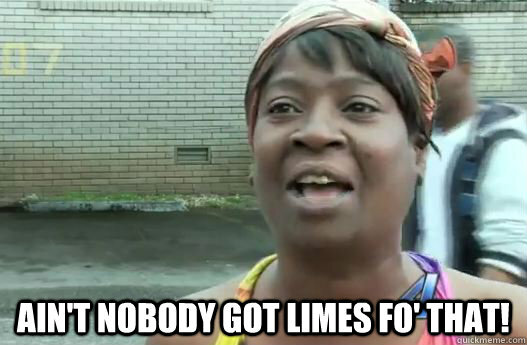 Ain't nobody got limes fo' that! 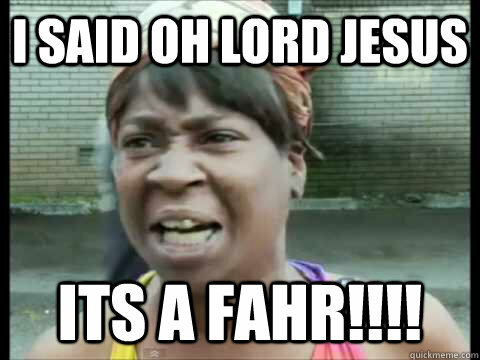 i said Oh lord jesus its a fahr!!!! 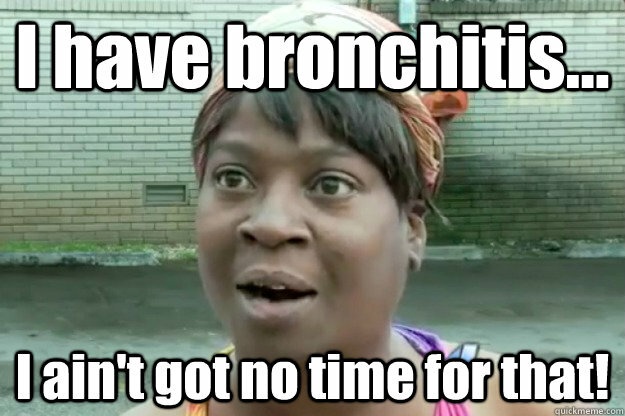 I have bronchitis... 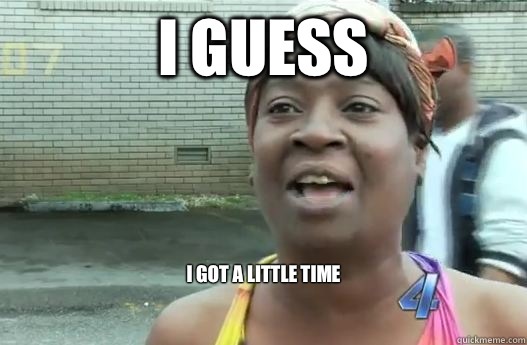 I ain't got no time for that! 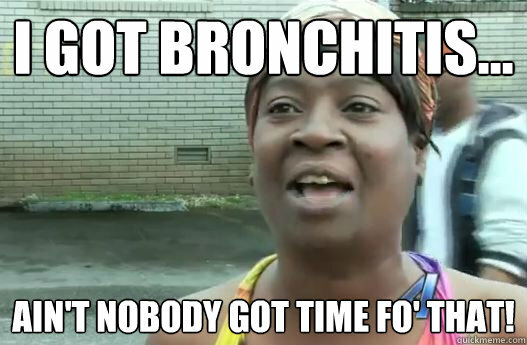 I got bronchitis... 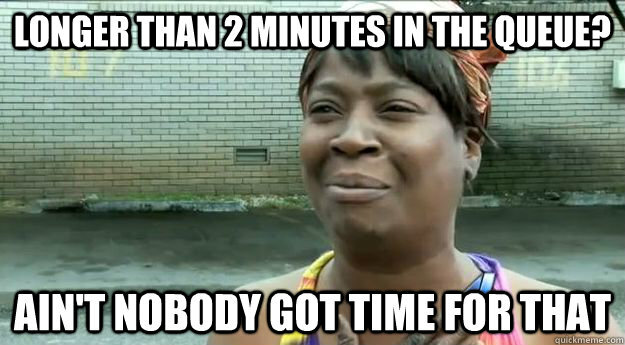 Ain't nobody got time fo' that! 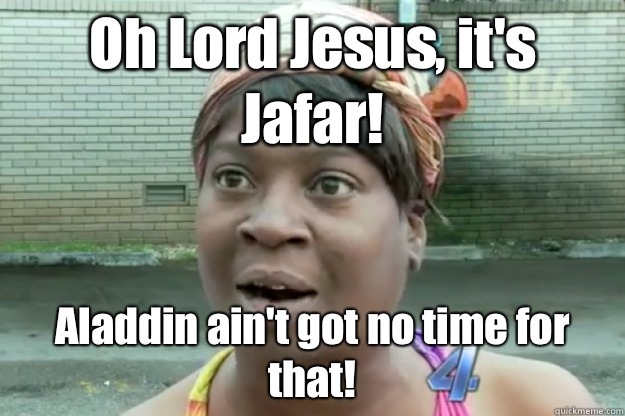 Oh Lord Jesus, it's Jafar! Aladdin ain't got no time for that!